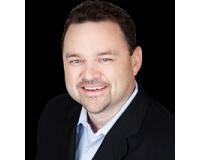 "I had the pleasure of working with Mike on a Real Estate sell of 2 properties. The market at the time was at the bottom to say the least. Other agents had offered assistance, but didn’t have a can do attitude about it. Mike's breadth of knowledge in regards to marketing and real estate make him a success. Mike has proven to be a valuable resource and is always willing to perform beyond expectations to assist in getting the job done. I recommend Mike for his ability to keep striving for results, where others give up. "